ROMANCE BOOK PARADISE: Natalie Charles Under The Spotlight and Giveaway! 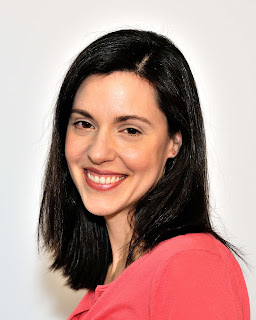 Natalie Charles Under The Spotlight and Giveaway! We have debut author Natalie Charles Under The Spotlight and she's got a Giveaway! In the romance community, I'm a debut author for Harlequin Romantic Suspense and the winner of Mills & Boon's 2011 New Voices competition. In my regular life, I'm a wife, mother to a toddler and an attorney, and in my free time...no, never mind. I don't really have free time. Part of it is that I've always had a need to write -- it helps me to bring order to my life. My mom tells me that I started telling her stories at two years old, and that I would come to her with a pen and a piece of paper and say, "Write this down." Of course writing as an adult is much different than writing as a child, because adults have to contend with things like industry standards, story arcs and criticism. I do believe there has to be a little something extra that inspires you to do the hard work required of all adult writers. So I guess the short answer is that I write because I love books. Some books have changed me and become a part of who I am. What an awesome power, for a writer to put words on paper and change someone's life. I think the inspiration to write stems from a desire to try to give back some of what I've received. The thought of ever constructing a sentence or evoking an image that, in someone's mind, perfectly expresses a thought they'd never put to words inspires me to keep writing. It was an easy choice! My first love is mystery/suspense, but I have a soft spot for love stories with happy endings. I naturally gravitated toward romantic suspense. Without giving anything away, this book deals with some deeply personal matters. I never write about real people, but I almost always write about experiences that have moved or touched me. In THE SEVEN-DAY TARGET, I set out to write a book about a woman who is struggling with something that many woman have experienced, but that is still a somewhat uncomfortable topic of discussion. I wanted to talk about it. I also wanted to write a reunion story. There's something about second chance stories that get my heart pounding. I was brainstorming with my critique partner and childhood friend, Special Edition author Olivia Miles. She's the queen of clever titles, so I always like to get her input. I don't even remember which one of us came up with the title. I think I liked "target" and she may have liked "seven day"...it was a joint effort! He never meant to speak to her again. Back in Arbor Falls for a funeral, Special Agent Nick Foster has moved on. He has no plans to stay in his tiny hometown-or to reunite with the beautiful Libby Andrews. His onetime fiancée broke his heart, and what's past should stay buried. Libby doesn't want his help. Her childhood sweetheart can never know the real reason she ended their engagement three years before. But when a serial killer targets her, she must team up with the rugged agent for her own safety. Something in her past has put her in danger, and the passion they've reignited puts their future in deadly jeopardy. Welcome to Romance Book Paradise, Natalie! Congratulations and Happy Release Day! Thanks for coming by Karen! The suspense in this story is a thrill to read. Sounds like a super book! Suspense AND romance? Sounds like a winner to me. Thanks for the heads up. Thank you Susan for coming along to chat with Natalie! I'm hooked! Great to meet you. Happy Release day to you too! Romance and suspense go so well together. Best of luck to Natalie. Thanks for dropping by, Kelly! Yep, Maria. 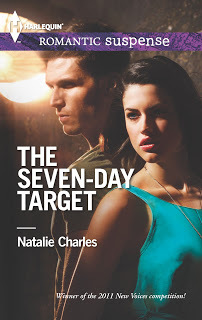 I also felt the spine chilling thrill while reading THE SEVEN DAY TARGET! I enjoyed the interview. Your book sounds great! I like second chance romances, too. I love reunion stories too, Sherry. There's something about all that history to work through and fall in love all over again! Great interview. The Seven-Day Target sounds really good! Ooh, I'm already intrigued! I want to know what her secret is! Yes, Deniz! It is an intriguing and a thrill to read! What a great title. I also like the description. The description and title fits the story, Medeia! Lol! Medeia, who needs free time anyway? sounds intriguing! lovely to know more about Natalie and her book. The Seven-Day Target sounds so intriguing good. The mystery, the self-sacrifice, and the past catching up with the choice Libby made that could endangered her and Nick. It is an intriguing story Kai! Thanks for coming by! Thank you for introducing us to Natalie, Nas!